A intelligent glimpse into a closed dystopian society. Spectacular visual style and voice talent. Engaging story and great use of stealth. Occasional poor animation quality and repetitive and frustrating puzzle design. An interesting take on the episodic point-and-click genre that shouldn't be missed. When does an indie game stop being an indie game? This was a question I found myself wondering several times during my playthrough of Republique: Remastered, a full-HD PC and Mac port of the episodic mobile game from 2013. Funded by a Kickstarter campaign that almost didn’t make it, the mobile versions were a massive critical success. However there is never any real substitute for mouse and keyboard controls with a game like this and it’s clear from the start that this Remastered edition is how the developers always wanted the game to be played. The game takes place in a dystopian totalitarian state known as Republique. It’s true geographic location is never really determined apart from occasional hints that it exists somewhere below the world’s surface and a considerable distance away from the United States. The nation is led by a tyrannical figure and his army of hired goons known as the Prizrak. The mostly unseen population live within a personality cult where every aspect of the leader’s life is revered as a museum piece to be meticulously studied and memorised. All actions within Republique are monitored any kind of dissidence is severely punished. As with most of the tyrannical dictatorships throughout history, the leader believes that children are the future due to their relative ease of their indoctrination compared with adults and therefore appoints himself as the headmaster of Republique’s only academy.The story focuses on a young citizen named Faith and player’s must help her escape by taking control of a silent and unknown protagonist who, for whatever reason, has full control of Republique’s army of omnipresent security cameras. You are helped in your quest by a inside man who offers pointers on how best to evade the Prizrak and hijack their technology for your own advantage. The key element is stealth and players must use the security cameras to direct Faith in avoiding the Prizrak soldier’s line of sight by using a variety of cover, distractions and underhanded techniques. It’s in the latter that the game really comes into it’s own and difficult moral choices are sometimes required if the player is to help Faith to complete her journey. Similarly, levels of risk are also left up to the player. Faith is able to pickpocket the Prizrak if she gets close enough but doing so obviously increases the risk of capture. There is also a multitude of collectibles scattered throughout the world for those players with the inclination to find them although some moments stealth of were so tense that I personally kept aimless wandering to a minimum. Visually, Republique Remastered is absolutely stunning. One of the first games to make use of the new Unity 5 engine, the level of quality and art design can be breath taking at times, whilst the point-and-click style static camera system helps to keep system requirements reasonably low. The screenshots in this review were captured in-game and show just how good the game can look on the right hardware. Similarly, the standard of audio is spectacular with some great music and the vocal talents of Jennifer “FemShep” Hale and David “Solid Snake” Hayter among the cast. It was in noticing these names on the opening credits that my original question first occurred to me. When does an indie game stop being an indie game? Although still a relatively unknown studio, the team behind Republique includes the likes of Metal Gear Solid 4, Halo and F.E.A.R. on their collective CV’s and there is no denying that a game like this sits a far distance away from some of the ‘one man and his dog’ indie games that now litter Steam. Republique: Remastered goes out of it’s way to prove it’s indie status by including homages to D4, The Banner Saga, and even Hotline Miami but Republique’s roots seem to be far more aligned with Metal Gear Solid and Bioshock than any indie game I’ve played. That is not to say that Republique is not without it’s flaws. Although the visual quality is impressive, the animations are occasionally poor and the Prizrak AI isn’t particularly impressive. Some of the puzzles are also extremely old fashioned and one in particular seemed to be more frustrating than clever or difficult. Even if you aren’t a completionist collector, some areas will require a large amount of back tracking and traversing across enemy filled rooms which you may have only just passed through a few minutes earlier. The flip side of this is that Faith cannot actually die and being caught just means an arrest and confinement in a nearby holding cell, with escape at the touch of a button. There are a small number of ability upgrades that can be unlocked however most of them weren’t particularly useful. The only notable one for me allowed the Prizrak’s movements to be predicted by outlining their intended path on the ground. Like the Telltale adventure games, Republique: Remastered is being released across five episodes. The first three parts are included now and the remaining two will arrive later at no extra charge. This is in line with the episodic nature of the mobile versions and each episode took me approximately 3 hours to complete. The release date for episodes 4 and 5 hasn’t been confirmed yet but Camouflaj delivered two episodes last year so it’s reasonable to expect that it could be another 12 months before the entire saga is complete. Despite that, at £18.99/$24.99, the game represents decent value for the amount of content available and those who do like to walk on the wild side and collect everything should find plenty to keep them occupied for a while. 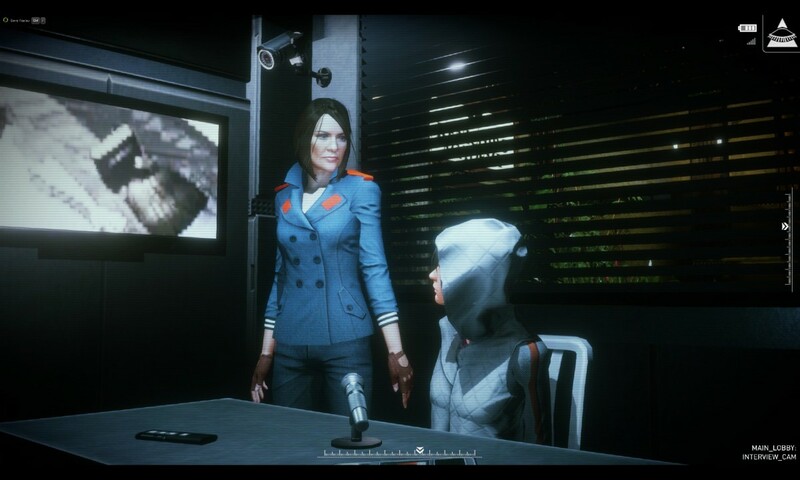 Overall, Republique offers an intelligent glimpse into an intriguing personality cult. In some ways, it felt like an image of how Bioshock’s Rapture might have been before everything fell to pieces. It’s an interesting style of point-and-click adventure and, although occasionally repetitive, the stealth can be genuinely rewarding at times. It’s definitely not the most action packed stealth experience out there right now but fans of good interactive drama will find a lot to like and it is a game that I can undoubtedly recommend. Republique: Remastered is available now for PC and Mac via Steam, GOG and the Humble Store priced at £18.99/$24.99.